Since joining YouTube in January post-acquisition, I’ve started to amass a set of YT gear. 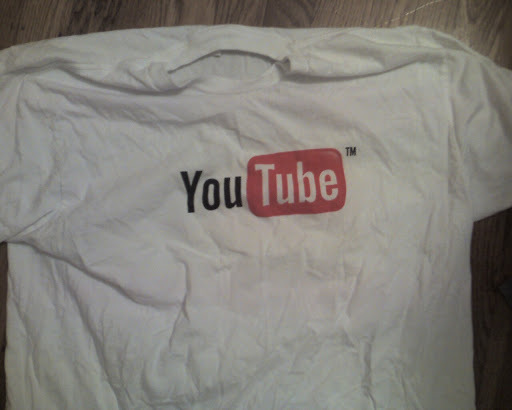 We’ll start with the plain white t – this one was worn at an internal recruiting event where we went down to Mountain View to talk with interested Google engineers about txf’ing to YouTube. This entry was posted in google, googlegear, youtube. Bookmark the permalink.